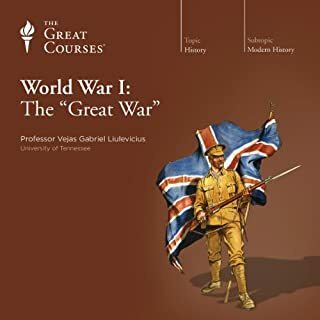 At the dawn of World War I, the United States was only a rising power. Our reputation was relatively benign among Middle Easterners, who saw no imperial ambitions in our presence and were grateful for the educational and philanthropic services Americans provided. Yet by September 11, 2001, everything had changed. The United States had now become the unquestioned target of those bent on attacking the West for its perceived offenses against Islam. How and why did this transformation come about? From electric lights to automobiles to the appliances that make our lives easier at work and at home, we owe so much of our world to the Industrial Revolution. 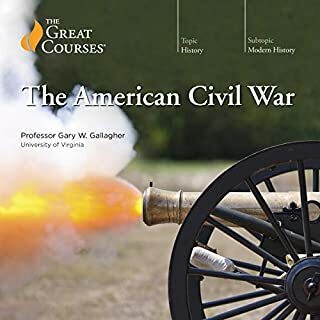 In this course, The Great Courses partners with the Smithsonian - one of the world's most storied and exceptional educational institutions - to examine the extraordinary events of this period and uncover the far-reaching impact of this incredible revolution. 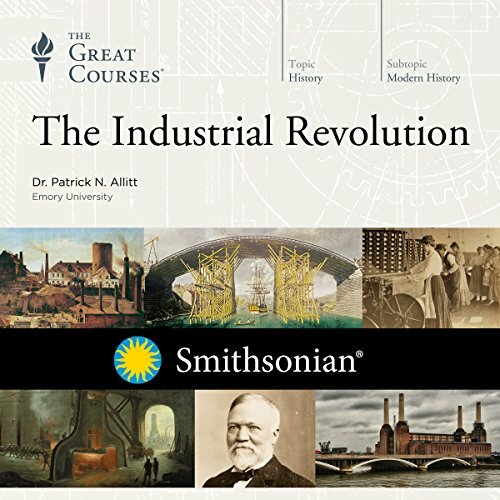 Over the course of 36 thought-provoking lectures, longtime Great Courses favorite Professor Allitt introduces you to the inventors, businessmen, and workers responsible for transforming virtually every aspect of our lives and fueling one of the greatest periods of innovation in human history. The technological achievements of this era are nothing short of astonishing. Thanks to inventions such as the steam engine and processes such as large-scale iron smelting, industrial entrepreneurs were able to mechanize labor, which allowed for a host of new efficiencies such as division of labor, mass production, and global distribution. You'll discover the science behind some of the most astounding inventions in modern history, including the spinning jenny, the incandescent light bulb, and the computer processor. You'll learn how these inventions came about and consider what effects these technologies had on every aspect of human life. Get an inside look at the history of industrial innovation and explore the lives of engineers, inventors, architects, and designers responsible for changing the world - as well as ordinary workers who lost their livelihoods to new technologies and suffered from unsafe working conditions. The story of the Industrial Revolution is complex, and these lectures will leave you with a new appreciation for the amazing human achievements all around us. 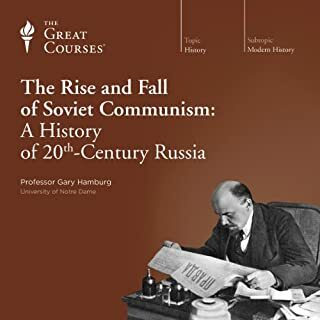 This was a spectacularly well-researched, comprehensive and entertaining look at what has arguably been most important driving force of modern history. Patrick Allitt beautifully balances this tour of the big picture forces and trends that drove massive societal change with the fascinating personal stories of many, many individuals who played pivotal roles in driving these changes in their respective societies (the focus is appropriately first on Great Britain and then shifts to the people and parallel developments in the U.S. and other parts of the world). 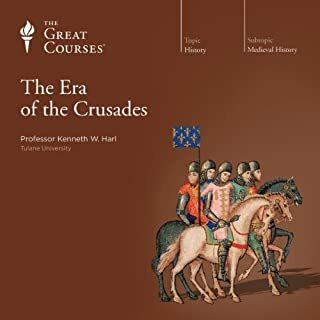 I listened to this course immediately after finishing another of The Great Courses called Big History (also very highly recommended). It was the perfect follow-up, as that title puts the human Industrial Revolution in perspective as the latest era in a 13 billion year trend of increasing complexity in our universe. But that's another course.. 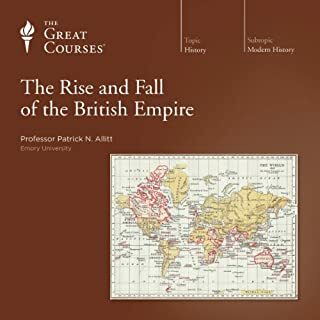 I have listened to 4 or 5 of Professor Allitt's courses from The Great Courses series and they are all uniformly excellent. He gifted both as a scholar and as a storyteller. Highly recommended. 5 Stars! In “The Industrial Revolution” lecture series Prof Patrick N. Allitt (professor of American History at Emory University) introduces the listener in 36 half hour lectures packed with information, to those technologies which - according to him - we all take for granted and never think about until it is lacking. Then we react with annoyance. 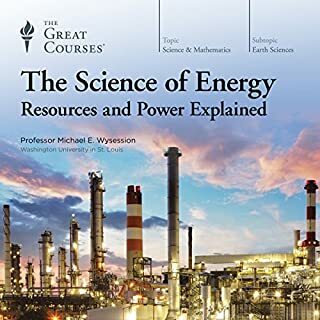 Ironically enough, while listening to this series, South Africa was forced into load shedding (the switching off of power grids for a certain amount of time) due to a coal silo that collapsed at one of the coal power plantations. This followed an event where Rand Water couldn’t provide water to great areas of the Gauteng Province because of some pump failures. I therefore can say, Prof Allitt’s argument hit home! He also argues in this course that the early industrialists were seen as people with big fat purses who extorted the working labour class to live in luxury. While this might be the case in some instances the legacy of the Industrial Revolution are the upliftment of the living standard of the peasant population partaking in the project. He makes a striking statement in the beginning of the course that the kings of old were poorer than the peasants of today. The Industrial Revolution came up with the idea of continuous improvement. 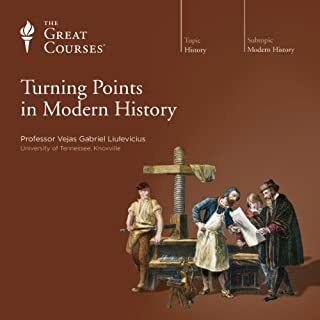 If you want to know how and why things have changed so drastically over the last 250 years, this course seems a good place to start. 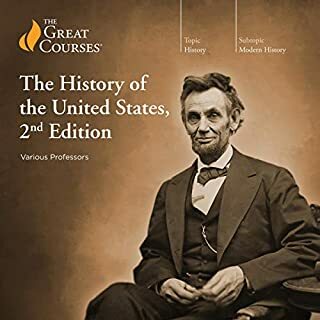 While half of the lectures are focussed on the Industrial Revolution as it began and progress in 18th century Britain, the rest of the lectures are split up in the Industrialisation of the United States of America, Europe, Russia, Japan, India, Taiwan and China. I thought Prof Allitt’s focus on technology and how it impacted on who won the Second World War was very informative and interesting. I was amazed that he thought of Sub-Saharan Africa as backwards and not yet there (my words). I am not completely convinced that he knows what is happening in Africa. Maybe his statement is too sweeping. I was intrigued by the idea that different political systems saw the need for industrialisation, though it failed miserably if the state was too authoritarian. Though not mentioned by him, it seems to me that Apartheid in South Africa also had industrialisation as its driving force - another odd marriage partner of the Industrial Revolution. 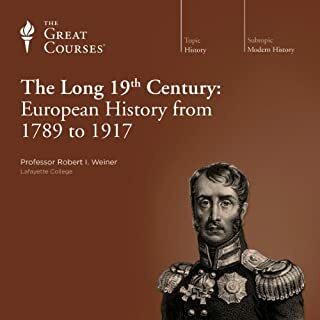 In general this is an excellent well-prepared and researched course that covers a vast array of subjects relating to the Industrial Revolution (as Fredrik Engels dubbed it). Any listener will be challenged by the amount of information that needs to be thought through. I can almost guarantee that it will help you to orientate yourself in terms of your own biases and blind spots towards technology and progress. And Excellent Read for Broader Historical Context! 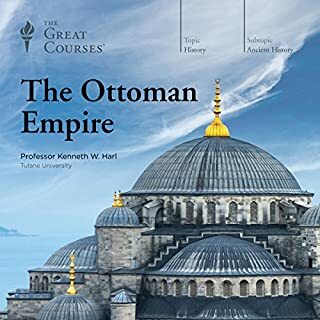 For anyone educating themselves in history, this book as a great source of historical context, and a wonderful illumination of the threads that connect the past with today. Allitt could go a little too far into details, dates, and specifics at times, information that no one but real enthusiasts will easily remember, and my mind would start to wander. 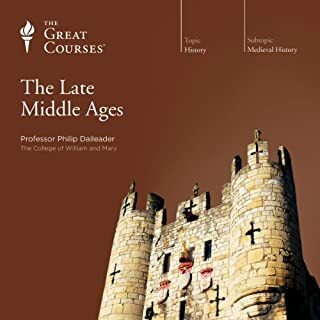 However, I thought I had, as I think most people do, a reasonable grasp of the industrial revolution, and this course enlightened me to quite a lot of new insights. It was fascinating to hear the revolution split and contrasted by region, Britain versus the United States, and again versus India and China. 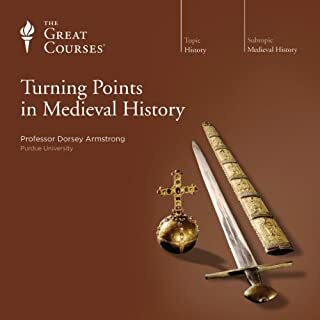 What was also very insightful was the the course carried on much longer than I had anticipated, from wrought iron to microchips, drawing a continuity between two revolutions that I'd never considered. Attill does well in demonstrating the importance of certain tiny elements, like standardized threads on screws, to the workings of the whole industrial machine. The information was also quite holistic, illustrating many different factors from cultural attitudes in antiquity to geopolitics. Allit is clearly an advocate of industrialization, and makes a number of provocative anthropologically based arguments, but does not flinch from the hardships and controversies. 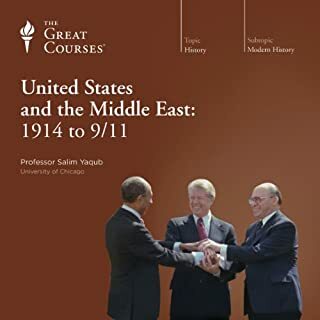 All in all, while this course could occasionally stray into droning, I would recommend it. It taught me much about something I thought I knew, and definitely enriched and deepened my understanding of history and the world today. What made the experience of listening to The Industrial Revolution the most enjoyable? The focus on individuals is great, and something you can find throughout Patrick Allitts Great Courses recordings. Learning about Isambard Kingdom Brunel. A fantastic engineer with great stories centered around him. What does Professor Patrick N. Allitt bring to the story that you wouldn’t experience if you just read the book? He has a very pleasant and classroom-like way of speaking, something I very much enjoy. It's sometimes obvious that he reads from a script, but most of the time it's just like being told the story straight from the experts mind, and that adds a layer of social interaction-feel to the learning experience that is essential for taking in what you're taught. No, it's best to split it up in 30 to 90 minute sessions to get the best out of the material. You need time to reflect upon what you've learned and connect it to what you already know. I find Patrick Allitts courses to be very easy to follow. He often focuses on one individual at a time and this approach is really enjoyable. 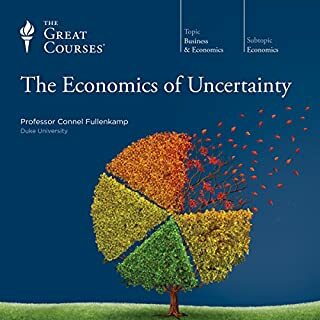 This is the third course by Professor Allitt that I've listened to. The courses are very well organized and I find his lectures extremely engaging. 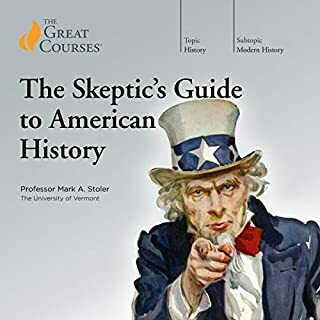 He does a good job of presenting a balanced picture of both the good and bad, the admirable and the deplorable effects of the Industrial Revolution, although he does share his belief that the benefits vastly outweigh the costs (which I agreed with before and after listening to the course). I particularly like how he incorporates primary sources-- letters, newspaper articles or fiction of the time. The author really puts the Industrial Revolution in a larger context that gives you both a wonderful sense of the age, and the social and economic forces that enabled the Industrial Revolution to take place first in the UK and later in the US. What was one of the most memorable moments of The Industrial Revolution? I never fully understood how important the changes in land ownership and advances in agriculture were to bringing about the Industrial Revolution. Now I do. Have you listened to any of Professor Patrick N. Allitt’s other performances before? How does this one compare? 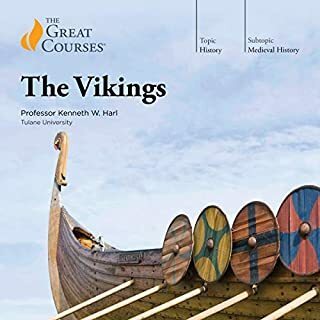 I have not listened to his other courses but he is really fun to listen to! If you liked Walter Issacson's The Innovators you'll like this too, I think. If you could sum up The Industrial Revolution in three words, what would they be? Compelling series that reveals the evolution of the industrial society. You can still see the outlines of this historic journey around us everyday. Very thought-provoking when you consider the information age transitions we are living through now. Not just historic data, but a story of the evolution of our societies. At first, the heavily accented delivery was a distraction, but it grew on me quickly. I actually came to like it very much. I was sad to reach the end of this series. Informative and entertaining. Allitt does a great job of giving the essence of the Industrial Revolution. He takes a broad swing from the mid 1700's to the present. 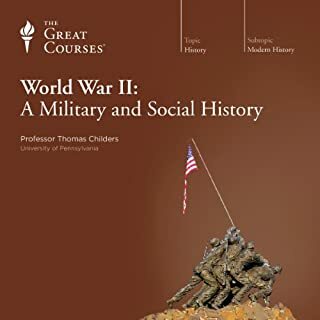 The first half of the course concentrates on England, but you'll get a good overview of Germany, Asia, and , in particular, the US. America's contributions of unceasing innovation and the assembly line are given full coverage as well as its contribution to 20th-century wars. This is a very worthwhile learning experience. A class I'd show up for! What did you love best about The Industrial Revolution? The topical chapters are wonderful- only wish I could see the chapter names on my phone! I am fascinated by Josiah Wedgewood- who knew a potter could be so interesting? NO! This is one to savor, chapter by chapter… may want to grab additional information on the subject and re-listen. 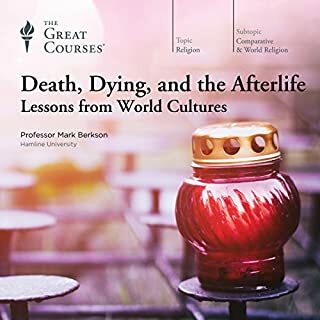 Best of the Audible courses, so far. I really enjoyed learning about the history and personalities that drove the Industrial Revolution. The author does a good job of breaking down the material into manageable chunks of information. He also managed to make production and labor tension consistently interesting. He has a nice English accent and the pacing is good. I would recommend this to anyone seriously interested in the history of global industrialization.